For the first time since 2001, PC sales are expected to be less this year than last year, and with consumers buying, and accessing the web through, a multitude of different devices, from desktops to netbooks, and tablets to smartphones, it poses a challenge for companies of how best to design their sites to be singularly represented across this fragmented web. With users accessing content across such a wide range of devices, and thus, a wide range of screen sizes, it is becoming ever more important to take this into consideration when designing a website. There is a lot more content real estate available, for example, on a desktop screen than a smartphone and mashable predict that 2013 will be the year when responsive web design will become best practice. A responsive website figures out the screen resolution of the device it’s being viewed on and uses flexible images and fluid grids to then size the site correctly to fit that type of screen. This means that when the site is accessed on a desktop, the content can be displayed over a large space, whilst on a smartphone, it can be sized to fit into one column. The site will even resize its content to best fit the screen when the user tilts their smartphone or tablet from landscape to portrait orientation. 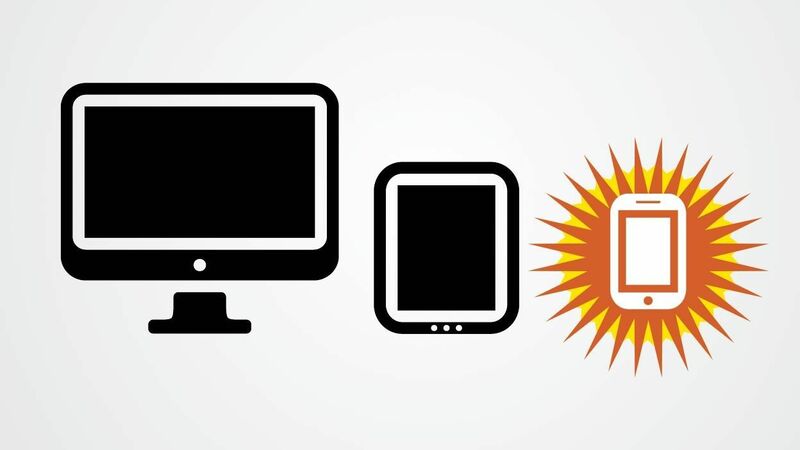 Have a look how your site is represented across a myriad of devices with Responsinator.